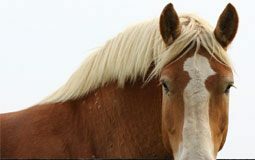 How to install a webcam to keep an eye on your horses from anywhere. 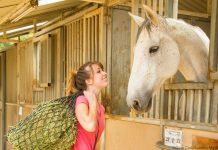 Are you like me, obsessive about your horses? Would you like to be able to spy on them at all hours of the day or night, from anywhere in the world? It’s possible, and I am going to show you how. Initially, we set up two cameras. We have two horses, so we placed the first camera between their stalls. We installed the other one in the run-in shed, which is attached to the back of the barn and opens up to the turnout paddock they use in the winter and when not grazing in the summer. Using the phone app that comes with the cameras, I can pan back and forth to cover a wide viewing area in both locations. My first big challenge was getting internet to my barn. The signal from the house was barely strong enough to reach the stall camera, and not strong enough to reach the run-in’s camera. The solution was to add a Wi-Fi range extender, which grabs the Wi-Fi signal from our home network and rebroadcasts it throughout the barn. 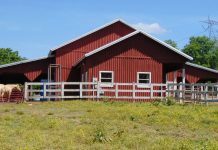 If your barn is a significant distance from your home, you may need to get a separate internet device for your barn, such as satellite or cellular. You must have your cameras connected to the internet in order to view them from other locations. Once the network is up and running, it’s time to set up the cameras. The cameras we chose from Amcrest were easy to set up; I just downloaded the app to my phone and scanned the QR code on the bottom of the camera. I chose the wireless network to use, gave the camera a name and password, and I was in business! It’s been a big relief being able to keep tabs on my horses in all kinds of bad weather, from severe thunderstorms to blizzards, without having to actually go out in the elements to check on them. 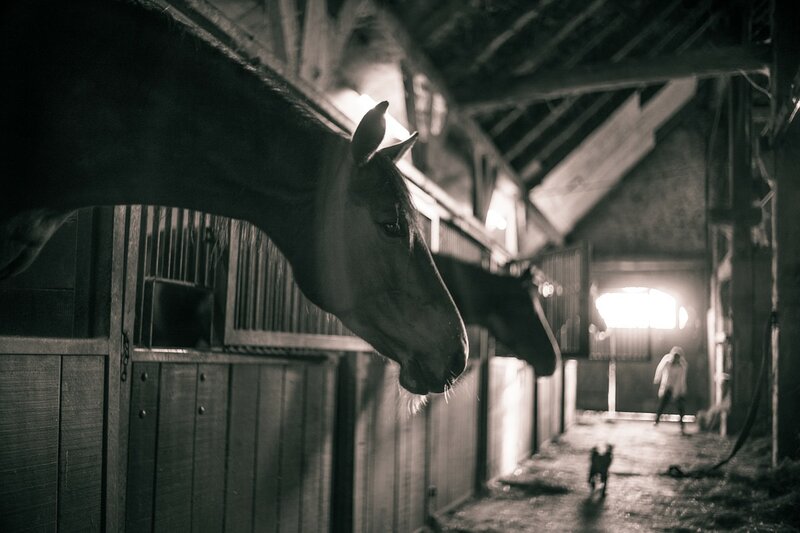 I travel frequently and like being able to log in from anywhere to find out if my horses are OK.
Aside from the joy of spying on my horses, barn cameras with recording capabilities have the added benefit of adding a layer of security to your property. Should something go wrong with either my horses or personal property, I can play back the footage and see exactly what happened. The peace of mind that comes from having cameras in your barn makes horse and farm ownership a lot less stressful and a little more fun. Because the locations I wanted to cover weren’t out in the elements, I opted to get budget-friendly cameras that are not weather-sealed. We’ve have had them for almost two years and have had no significant issues. Most brands also make outdoor cameras.